I started the cyber security apprenticeship with Nominet straight from school, back in October 2018. Someone from NCSC had come into speak to us about cyber security apprenticeships, which was not something I’d really considered before but sounded like just what I wanted. I applied for quite a few, but the Nominet position seemed the most interesting. Even the application form was better, as it allowed me to be more personal and gave me room to explain myself. I had weighed up going to university, but most computer science courses required Maths A Level, which I didn’t have. I had originally planned to pursue biochemical studies, which is why I took Biology and Chemistry at A level, but my Computer Science A Level proved to be much more interesting. Plus, I wasn’t sure if I wanted to be stuck in a lab all day. I think I’ve been spoilt at Nominet. It’s the right-sized company for learning about cyber security. It’s big enough that you work across different areas of the business, but small and young enough that cyber security is at the forefront of everything Nominet does, especially as the registry responsible for keeping the .UK domain space safe. I feel part of a community and there is great communication here, so I always get a feel for what everyone else does too, which I think is important. I have always been interested in technology and computers. My Dad is a network architect, so it was in my family, but the one thing this apprenticeship has shown me is that there is a space for everyone; no one should ever write themselves off or think it’s too late to make a change. One guy on my course is in his 40s and spent most of his career as a pharmacist. Even the other apprentices at Nominet come from different academic backgrounds – geography for example – and different lifestyles, which I like. Diversity is important in cyber security because the discipline itself is a mix. You can’t just be deeply technical, as you also need someone who can understand the threats and translate things to the rest of the business – communication is crucial in cyber security. I am aware that there is a lack of gender diversity in cyber security, and I wonder if it just reinforces itself, as girls don’t see it as a place for them. It takes time to change perceptions of a field, and we need female role models like Cath (Cath Goulding, Nominet’s Head of Cyber Security) to build the awareness that women belong in cyber security too. People don’t realise how easy it is to dip into cyber security to see if you enjoy it. There are lots of online courses you can do to see if it suits you. A friend of mine has just finished university and is really interested in my apprenticeship, as he doesn’t really know what to do next. It frustrates me that my barrier to entry for a computer science course at university was a Maths A level, because now I know I don’t need a Maths A Level to be in cyber security! I have no regrets about doing this apprenticeship. Working in cyber security is so interesting and has such an application to the rest of the world – you can’t afford not to have these skills today. I like the fact that every day there is a new challenge, whether that’s a new tool to use or a new threat to investigate. I also like the adversarial aspect of it; you’re defending against the people trying to break in and exploit your systems. 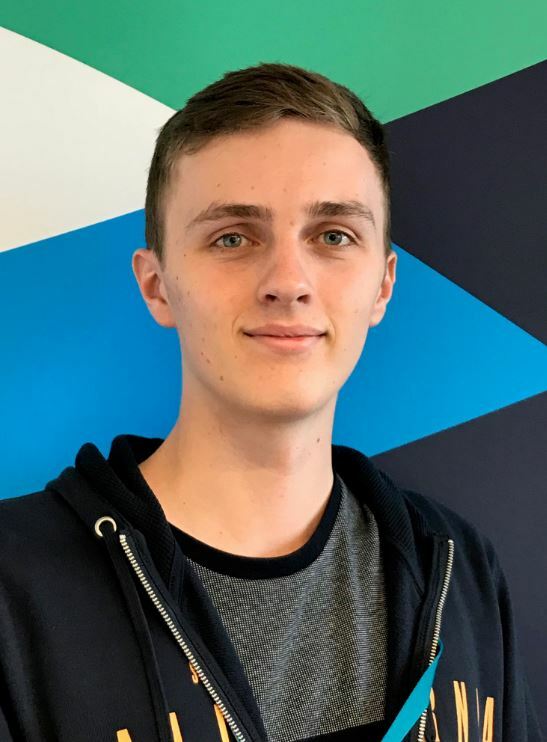 Hear from Nominet’s other cyber security apprentices, Dominic Rivett and Chris Underwood, or get information on Nominet’s cyber security services.